Save energy costs by installing a Genius Hub smart heating system to your property. If you have a large property (3+ bedrooms) or non standard heating such as underfloor, ground source heat pump, Biomass or solar then Genius Hub is the market leader for these complex environments. Typically, in your home you can make sure your bedrooms are turned off during the day, and set your dining room to be warm during meal times. Genius Hub automatically predicts how long each room will take to warm up, so that it will reach the desired temperature at the time you set. On a cold day, your Genius Hub knows to turn the heating on earlier. 24 room house with a mixture of underfloor heating and radiators. House with an oil boiler, solar thermal & thermal store. 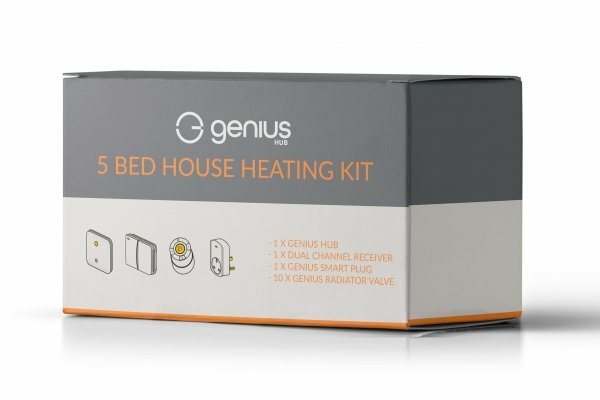 "Genius is the smartest smart home heating system you can buy."